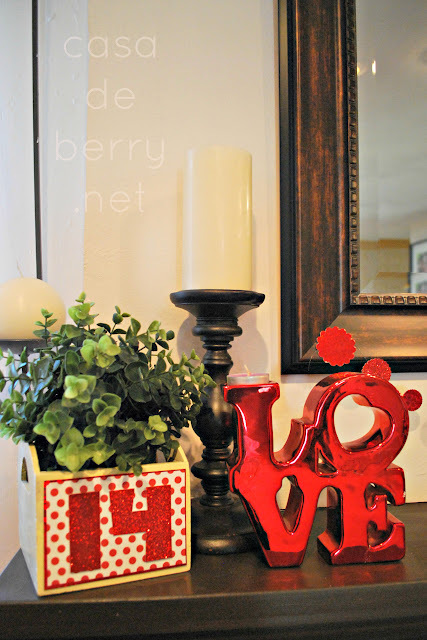 Valentine’s Day is less than a month away and although we don’t have huge plans for it, I still like to decorate our little mantel. 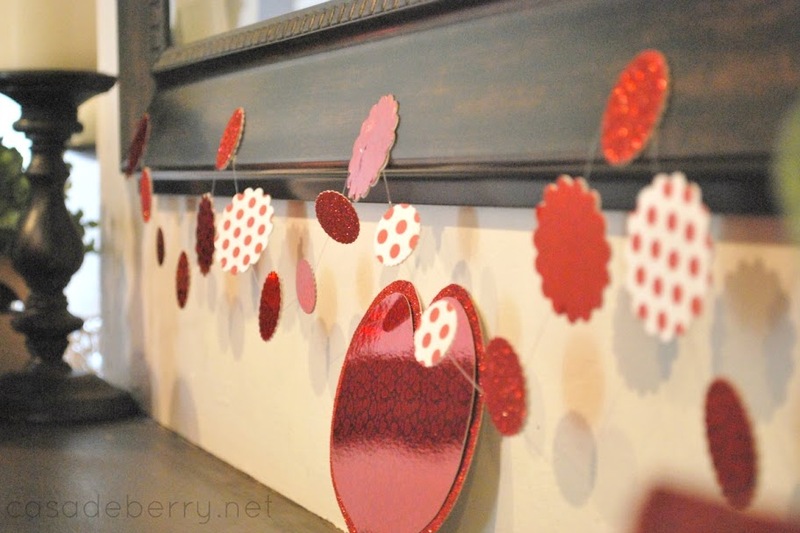 Most of the items I found by going through our various decor bins and my only expense was 2 sheets of red cardstock that I used on the garland. 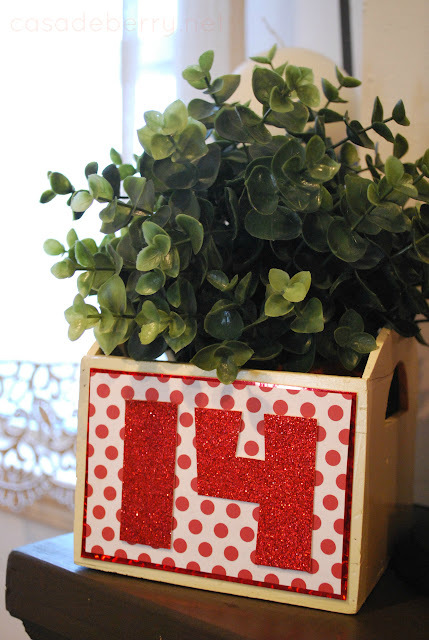 I found the little container on the left and it was the perfect size for my fake IKEA plant, but I didn’t love the designs on the front so I made a little “14” sign with glittery cardstock. Our house doesn’t get a lot of direct natural light but greenery brings such a sweet touch that I don’t mind that it is not real. I used the two sheets of cardstock I purchased (2 for 1 at Michaels) and a leftover piece of polka dot paper to make a little garland. 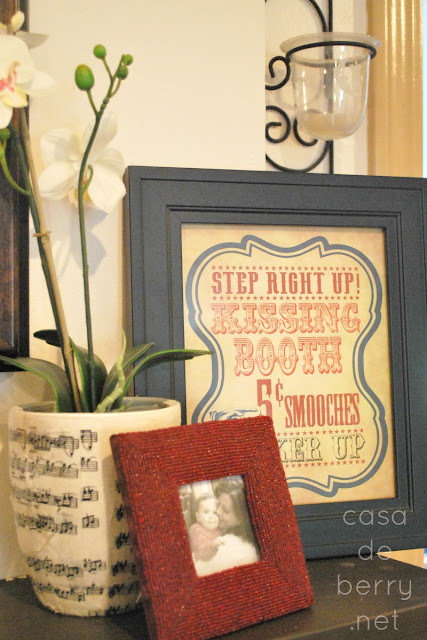 On the right side of the mantel is yet another fake IKEA plant 😀 in a planter I covered with lovely sheet music paper, one of my favorite pictures of me and my oldest, and a great printable from A Geek in Glasses. I love the vintage look!! 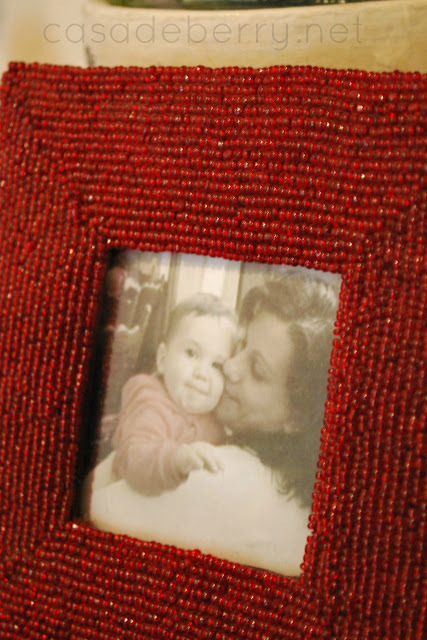 I just love this photo, and here I was pregnant with my youngest so I love that it was our little secret at this point. 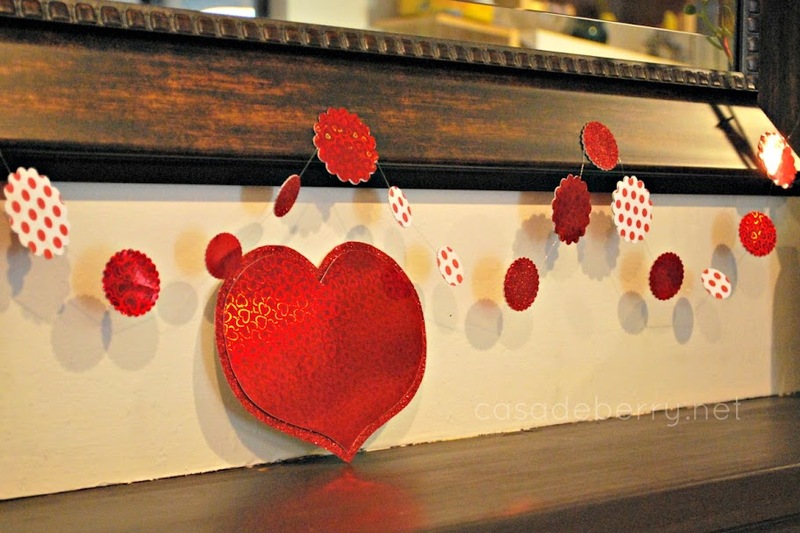 I love the whimsy of the polka dot paper! 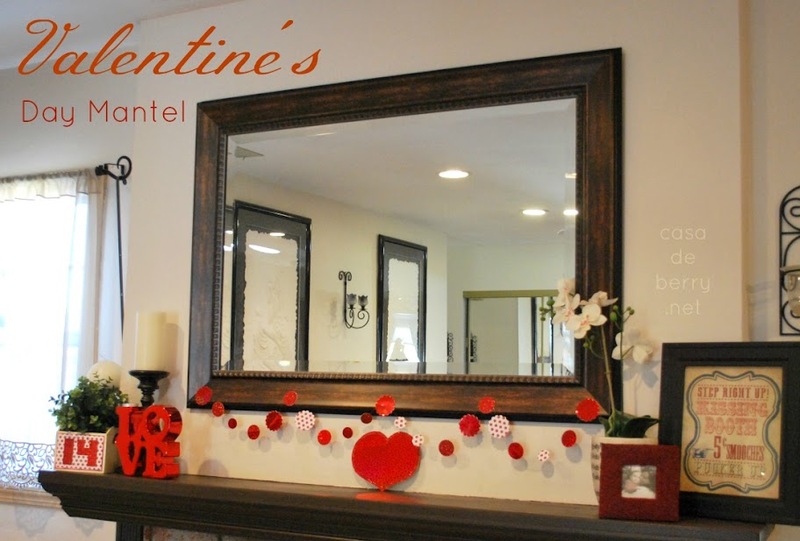 I hope you have enjoyed taking a look at our Valentine’s Day mantel, I enjoyed putting it together – have a wonderful Monday! I love it! So simple and pretty! Thanks for using my printable, I’m glad you liked it!